It would appear that some concept art over at Warner Bros. has Son’s of Anarchy and Pacific Rim actor Charlie Hunnam representing our favorite speed force user, The Flash. This is, of course, a rumor and rumors aren’t always true. Also there is a possibility that Hunnam won’t be playing the speedster at all. For that matter the Justice League movie may not even be moving forward at all. This is an interesting choice. With a shave and a haircut, Hunnam could pull off a good Flash. Pacific Rim, which is shaping up to be a summer blockbuster and stars Hunnam, will be coming out after an awful lot of buzz the past year. Maybe it will be the springboard Hunnam needs to get into bigger roles, like possibly portraying The Flash. What say you? Does Hunnam seem like a good choice for Flash? Maybe you have a better idea. Let us know in the comments below. dcjustice leaguePacific Rimsons of anarchytalking comic booksThe FlashWarner Bros.
Well I think he’d be a pretty good choice. If it were Marvel Studios casting him I’d follow it blindly, they seem to cast perfectly. So I guess we’ll just have to see how it all plays out! 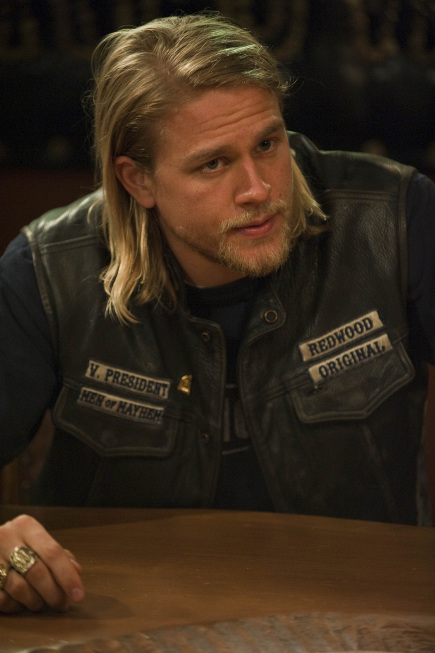 I feel like I’m the only one who’s not a fan of SoA or Hunnam. He’s not terrible but definitely not someone I’d cast to be in a big movie like Justice League.